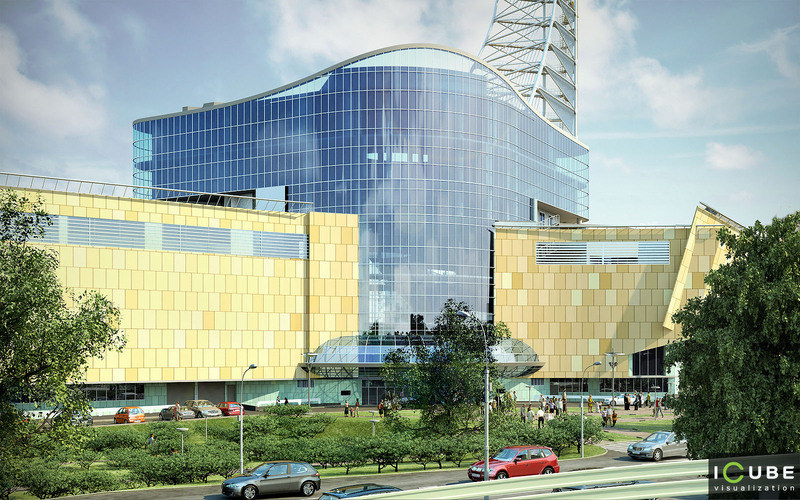 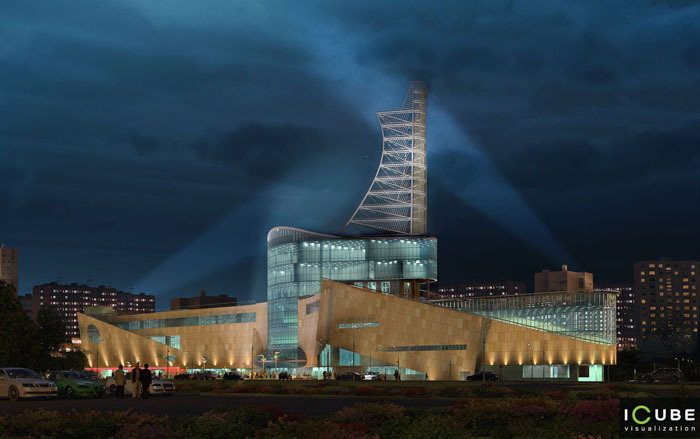 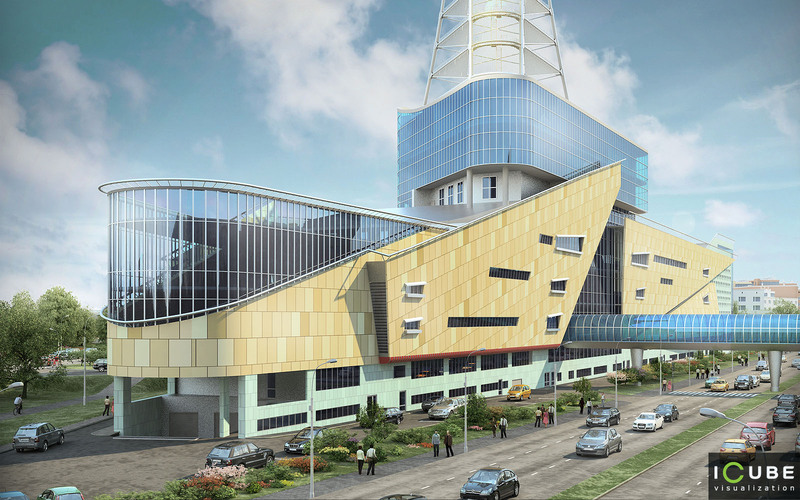 The new shopping center “Parus” is located in Kurkino district, Moscow. 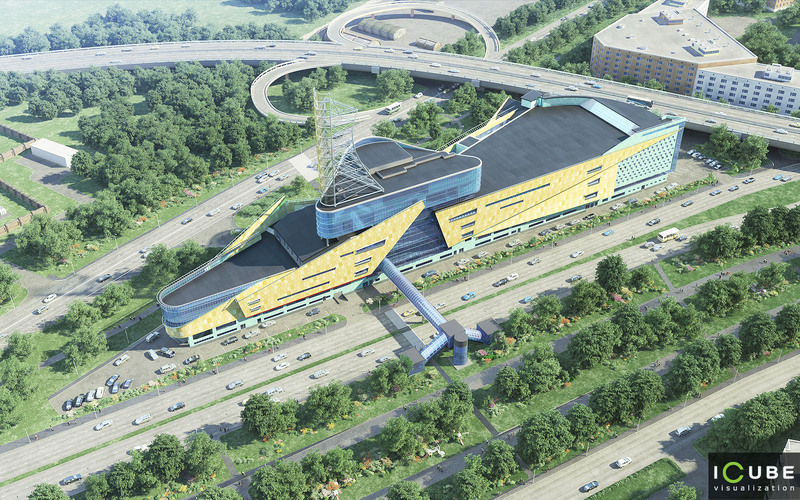 When working on the case, it is quite important to visualize highway profile, road structure and their interchange leading toward the shopping center. Close captured visualization, allows a viewer better understand building’s architectural style and decorative facade elements.